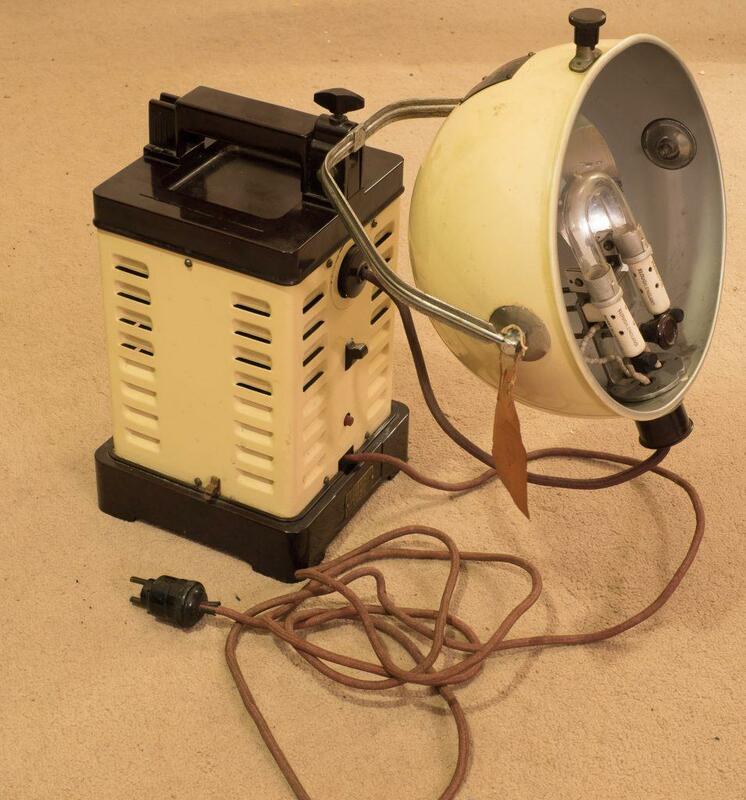 The Dentolux Lamp was made in 1935 by the British Hanovia Company of Slough, founded in 1924 and still in business. The company have always specialised in ultra violet lighting products and today they produce industrial systems for the UV treatment of water in ships’ ballasts and in swimming pools. This machine, recently gifted to the Stirling Smith collections by Dr Ian Collins, was marketed for dental actinotherapy (hence Dentolux). It is one of the stranger manifestations of the Fresh Air and Sunshine movement of the period 1920 – 1940, and there are a few medical texts from the twenties that advocate UV treatment to the skin as a way of improving dental health. This unit belonged to the Common family who were dentists in Stirling for three generations, and whose name is still carried by the firm of PLatt and Common in Dumbarton Road. L J Platt was Stirling’s first resident dentist and it is not surprising that the partners should acquire the latest machines for dental health. Family members were required to sit in front of the machine wearing dark goggles. It is in original condition including the cables, plugs and inspection label.